As a Subaru driver, you expect more from your car. You expect a responsive style of driving, keeping you in touch with the road. You expect performance that makes your heart skip a beat every time you are behind the wheel. Yet you don't want your heart to flutter because something doesn't sound or feel right with your Subaru. Make Precision Automotive Service the shop to prevent and repair what might ail your car. Your Subaru vehicle, whether car or SUV, is taken care of by our highly trained staff. 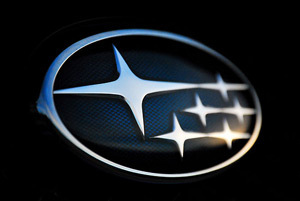 All Subaru repairs are performed using Subaru Original Equipment and factory-approved aftermarket parts. Our ASE-Certified master technicians are fully capable of completing any repairs you may need on your WRX, Impreza, Forester, or any other Subaru you may own. From the most difficult and intermittent electrical issues to the most common of symptoms, your Subaru's issues are no match for our professionals. Subaru vehicles are as well-built as they come. However, even the best-built vehicles require regular upkeep and maintenance. We can help with that. Precision Automotive Service is your Subaru's one stop repair and service shop in Sacramento. Call us for an appointment, or use our convenient online appointment request form to schedule a visit.